Remember the tropical storm Agatha that hit Central America in 2010? Among the nations in the region, Guatemala was hit hardest, with at least 92 deaths, 54 people missing and 59 injured, as reported by CNN. More than 100,000 people were evacuated. 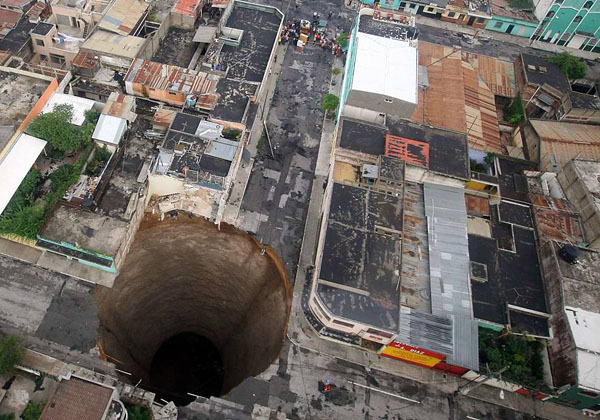 In May 2010 incident, a vast hole appeared overnight in the heart of Guatemala City, swallowing an entire three-storey building, a neighbouring house apart from human casualties. The Guatemala sinkhole measured over 18m across and 100m deep, and the enormous void is a dramatic example of a geological phenomenon known as a sinkhole. Sinkholes occur across the globe, and although huge, the Guatemalan sinkhole pales in comparison to some others. 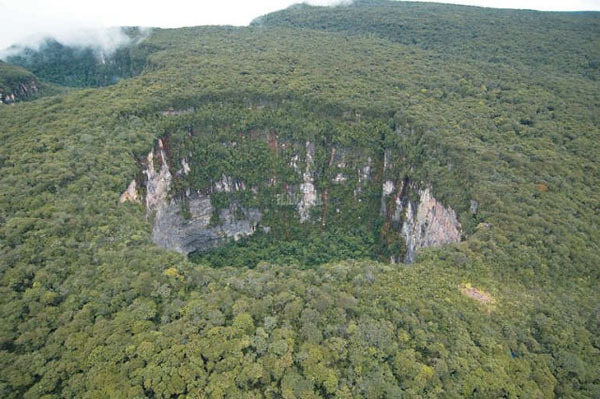 For example, at up to 352m wide and 314m deep, the four Sarisarinama sinkholes in Venezuela are so large that forests have sprung up within their depths, complete with ecosystems that are very different from the surrounding terrain. It is not known when these holes appeared - they were first spotted, from a plane, in 1961. 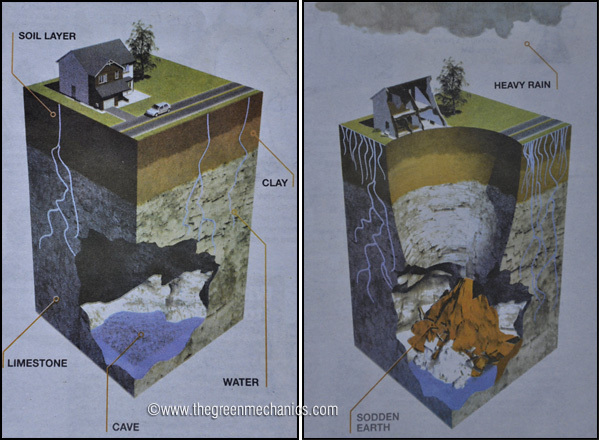 In most cases, for a sinkhole to occur, the geological composition of the earth must be just right. The topsoil must be soluble enough to allow water to drain through it, and the bedrock below porous enough to absorb the liquid. Over time, this water begins to erode the limestone or carbonate bedrock from the bottom up, forming a cave, the roof of which supports the soil above. As happened in Guatemala City, very heavy rainfall can then saturate the topsoil to the point where the roof of the cave will collapse without warning. Water erosion acting in this manner causes most sinkholes, but some can also be caused by human interference, or by other geographical factors. A soluble layer of clay and topsoil enables water to pass through to underlying rock. Eventually the rock is dissolved, forming a cave. Over time, the roof of this cave collapses to form a sinkhole. Sinkholes can also be caused by man? Not all sinkholes are natural geological occurrences. Human activities and practices have also been implicated in sinkholes. For example when natural water drainage patterns are changed or diverted, the upward pressure of water may not keep the surface stable, which can result in sinkholes. So, in the name of development and hunger for energy, when we go about doing some cracking jobs on mother earth (e.g. mining and oil explorations) do consider about the natural and environmental impacts of those activities. that sink hole in the middle of the city is really something!! wow..so remarkable! we had a sink hole in our driveway and i was annoyed...talk about perspective! Also, know any websites that explain how to build one? And is a tesla coil safe(just high voltage is is their a high current? )?.